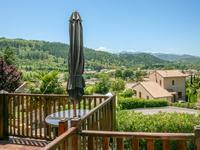 Surrounded by beautiful countryside, this tastefully renovated house, which retains many . . .
Lovely, single-storey, 4 bedroom villa with reversible air-conditioning, electric shutters, . . .
Superbly renovated traditional house with 5/6 bedrooms and riverside views, in the heart of a beautiful small tourist town. Overlooking the River Aude, this elegant property is a business opportunity not to be missed. . . .
Detached 4 bedroom house, with sous-sol. Stunning views and walking distance to all amenities. Lovely, light and airy 4 bedroom house with panoramic views. It has a large basement . . . This lovely house is only 5 minutes from all amenities and 1€ transport links to the airports . . .
located less than 30 minutes from the nearest airport, in a historic region, famous for white . . .